*Please plan to arrive 30 minutes to your boat tour. Captain Caviar will tour into the Atchafalaya Basin to view the American Bald Eagle. The Atchafalaya Basin is the largest overflow swamp in the U.S. covering over 850,000 acres. The Basin includes 10 distinct aquatic & terrestrial habitats ranging from large rivers to backwater swamps. 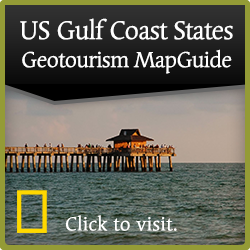 The Basin is most noted for its Cypress-Tupelo Gum swamp habitat and its Cajun heritage. The basin is home to over 170 bird species and is an important wintering ground for the birds of the Mississippi Flyway. Covered flat bottom boat. Bathroom on board. Maximum 20 people. Billy Gaston, swamp tour operator of Cajun Man's Tours will journey into the backwater of Bayou Black, adding his special Cajun touch. This tour will meander through the old oil and gas canals where you will have the opportunity to see several birds of prey including, of course, Bald Eagles, Ospreys and various species of hawks. Other birds that are likely to be encountered include various species of ducks, wading birds and some song bird species. Great tour for families or groups. Covered flat bottom boat. Bathroom on board. Maximum 40 people. Journey into Turtle Bayou to view Bald Eagles and get a glimpse of an eagle nest. This tour will also ride through natural bayous that provide for fantastic views and local wildlife. Other birds likely to be encountered include Anhingas, Double-crested Commorants, Red-shouldered Hawks, White Ibis, Yellow-rumped Warblers, Carolina Chickadees and various species of terns and gulls. Two boats. Maximum 6 people on each boat. Exhibits and presentations on outdoor recreation, wildlife, water safety and protectng St. Mary Parish's natural resources.